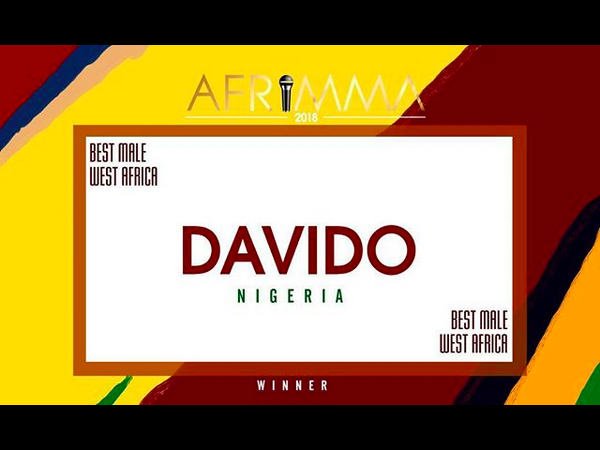 Davido has been named winner of the Best Male West Africa Category at the just held 2018 edition of the African Muzik Magazine Awards – AFRIMMA awards which held at the House of Blues in Dallas, Texas USA. Several other artists and promoters were recognized for their industry imprint. Davido of the 30 billion gang fame, was awarded the best in the category for male artists in West Africa, making it the third time he would be picking up this award in consecutive years.